Here we will share the pictures of bollywood celebrities and their religious prayers. Firstly, we want to mention that bollywood celebrities strongly believe on different prayers. 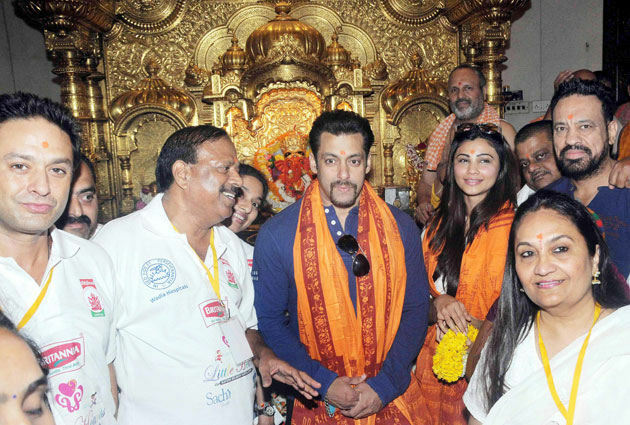 Before the release bollywood celebrities visit temples, dargha and darbar for the success of their movies. In this post, we are sharing the pictures of bollywood celebrities and they performing different prayers. For example, picture shows beautiful Deepika Padukone at the Siddhivinayak temple for the success of her new movie i-e Happy New Year. She looks extremely beautiful in the traditional dress. Another picture shows Vidya Balan at the Mahim Dargah. 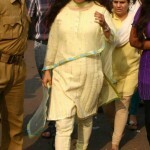 Another picture shows Indian actress Juhi Chawla spotted at the temple. Moreover, you can also see the picture of Salman Khan at the temple for the success of his movie. Lets talk about the Bengali actress Bipasha Basu. She also spotted at the Ajmeer Sharif for offering her prayers for the success of her movie i-e Creature. 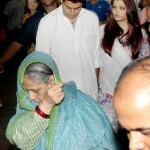 Lastly, we want to mention the picture of Bachchan family at the temple. In this picture, you will see Amitabh Bachchan, Abhishek and Aishwarya Rai at the Sidhivinayak Temple. In the picture, you will find Abhishek bachchan and Aishwarya Rai in white dresses. Aishwarya Rai Bachchan looks beautiful and gorgeous in a white dress. On the whole after sharing the pictures of bollywood celebrities and their religious prayers it is easy to conclude that bollywood celebrities firmly believe on their prayers. So if you are the fans of bollywood celebrities then have a look at their pictures.